There are countless ways to define us, but what really makes an enormous impact on us is our hair. While I would rather leave the house without doing my make up, I always take care of my hair. 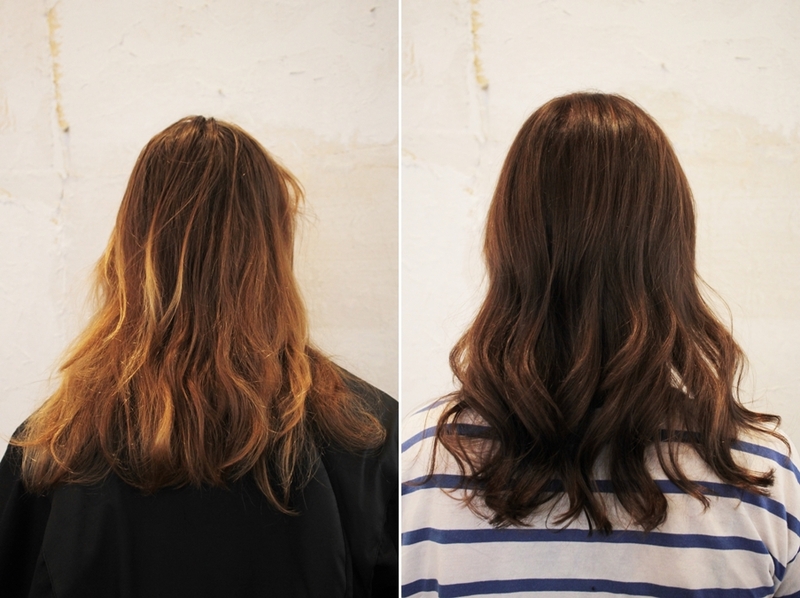 Not only styling, but generally cut and color can make us a different person. Within my travel to Australia, I visited Rakis on Collins, which is mentioned to feature “Melbourne´s Best Hairdressers”..
Rakis on Collins is Melbourne’s destination hair salon. Nestled above the ‘Paris’ end of Collins Street, their exceptional style and outstanding hair service has seen them win over 100 industry awards in their 33 years history and earned them the reputation as Melbourne’s premier hair salon. The Rakis team comprises a collection of dynamic and creative individuals, led by owner and Director, Stavros Tavrou. The Salon is well known and is responsible for beautiful styles during fashion weeks and other stylish events. With its long history and professional background, the salon combines some of the best of the best. Loreal, ghd, Kérastase Paris are only some of the brands to name, that are partnering with the salon. As my hair got bleached out during my travels and I wanted something “new” and more me, I got in contact with the salon and we decided to work on a personal style story. After doing researches for good hair dressers and stylists in Melbourne I always came across Rakis on Collins. The salon has been mentioned in various publications and also the reviews were all 5/5 starts on their ratings. I knew, if I want to change my hair, it has to be right this place. As you can imagine, it wasn´t that easy to get an appointment. I can right into town during fashion week and Melbourne vogue fashion night out so the team has been busy but luckily I was still able to make it and I can tell it was worth the waiting. Located in the second floor on a beautiful building on Collins Street I entered the heaven of hair. I knew, I would leave it as a different person. The team is absolutely dedicated and well experienced. My stylist Chris has a special sense for colors and is so creative. While I still had some concerns with my color and wasn't that ensured that I’m going for as I had so many ideas in my mind, he really helped me to put together a color and a new fresh look. Before he started the coloring, he told me step by step what we want to do and confirmed with me. Going darker from a blonde shaded hair isn't easy at all. There are certain things to take care of in order to avoid red or blue shades. After confirming the final look with me, Chris went to the back to prepare the color. He continued to apply the color in my hair. As we decided to keep the color dynamic, we didn't go for one color but for many different shades and also including my natural color. Chris used a special foil that is breathable and as we were not bleaching my hair it was a whole different process. Coloring my hair is always an enormous impact for me. Stylist like Chris working at Rakis are just more that creative people, they are feeling with you and want to help you to become the best and most beautiful version of yourself. What I also really like about the salon is that it's a lot more sheltered as it is located in the second floor. You could call it heaven for hair. While I had to wait for the color to be "ready", Chris also explained to me how to best take care of my hair and also introduced me to some of the partner products the salon is using. As I have fine hair, there is obviously a different care system needed. After about 20 minutes we washed out the color. Christ used the products he was showing me and told me how to take care of the color and keep my hair in good condition. After cutting off the dry ends the transformation was ready. I can tell, that it´s an amazing feeling and I absolutely feel like a new person. It´s not easy to go from bright to dark hair but Chris made it possible and while I´m still trying to get used to my fresh look I´m just super happy that I met the decision and went to Rakis on Collins. I was invited by Rakis for this hair transformation but all words are my own. I really liked the place and can recommend it out of my personal experience.